So though I don’t blog that much, some thing I should do more often, I was surfing here and there filling my head with the usual not always so useful information (but hey, you can never know when it MAY become useful). I started using twitter tracking in an attempt to sort out key word about some topics I am interested lately, and one of the links I followed brought me to this little thing. Just print it out, cut it out, glue following the numbers and VOILA! 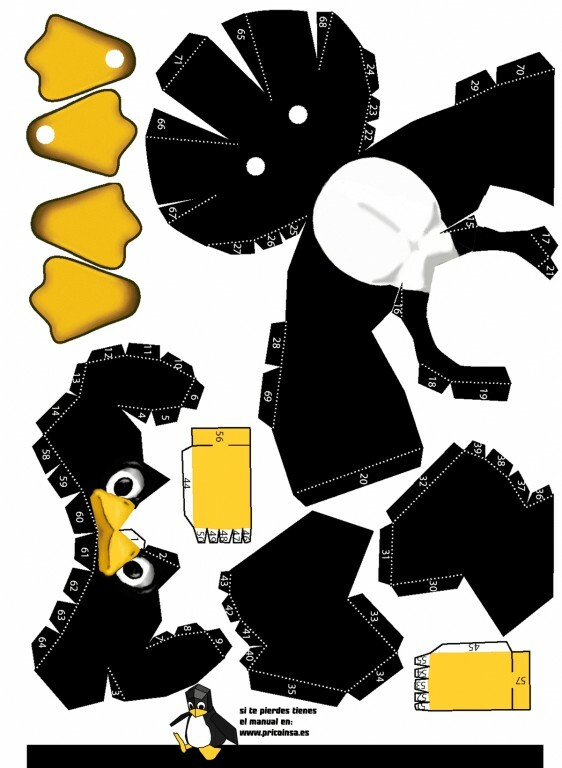 You have your own hand made cute as a button Tux! That’s a pretty cool design. Do you have a vectored version of the graphic? Unfortunately I don’t, though that would be cool to have and be able to scale it up or down.